The $700 million investment will go to the Flat Rock, Michigan plant to produce more electric and self-driving cars. 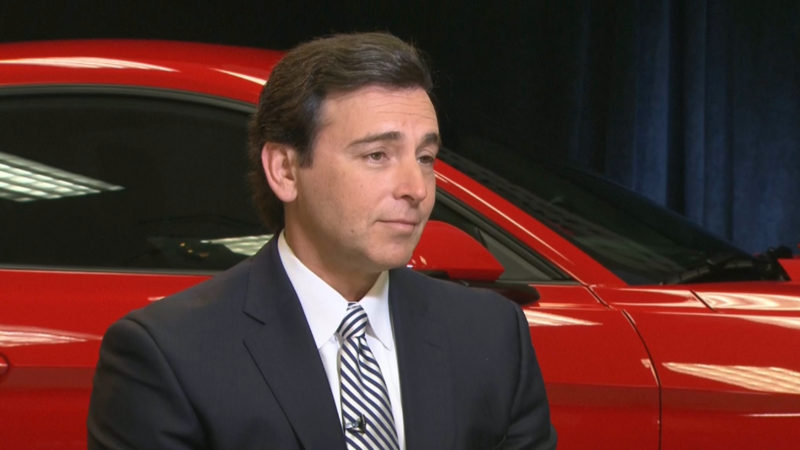 Ford believes electrified vehicles will outsell gas-powered vehicles within the next 15 years. Trump tweeted "thank you" to Ford Wednesday and said, "This is just the beginning - much more to follow." The president-elect reiterated that threat again to GM Tuesday, tweeting, "Make in U.S.A. or pay big border tax!" Ford's CEO tried to walk a delicate line on how much Trump influenced this major change in the company's plans. He praised Trump for his vows to cut taxes and scale back regulations on businesses, but stressed Ford's decision was "done independently" of the president. "This does make a heck of a lot of sense for business reasons. Political favor is an advantageous byproduct," says Bernard Swiecki, senior automotive analyst at the Center for Automotive Research in Michigan. Ford is saving money by investing only $700 million instead of the $1.6 billion it originally planned. After record years of U.S. car sales, there are signs of a slowdown. Small cars have been especially lousy sellers lately, which is why Ford is still moving production to Mexico. U.S. car workers make an average of $28 an hour, Swiecki says. In Mexico, workers average about $5.50 an hour. Trump won a lot of support from union workers for his tough talk on stopping jobs from going abroad and renegotiating NAFTA. The United Auto Workers union that represents Ford workers was "thrilled" with Ford's new plans. So were employees at the Flat Rock plant. "It's great news. Great for our future here, especially the new hires," Chris Romano, a Ford factory worker in Flat Rock, told CNN. Workers at the plant make $20 to $30 an hour, Romano said. He believes it was a "good call" by Trump to pressure companies to keep jobs in the U.S. The Mexican government said it "regrets" Ford's decision and stressed that jobs created in Mexico are not necessarily a loss for the U.S.
"Jobs created in Mexico have contributed to maintaining manufacturing jobs in the United States, which would otherwise have disappeared to Asian competition," the Mexican government said in a statement Tuesday. The automaker fought back against Trump's rhetoric on the campaign trail, saying he had his facts wrong and that the company never planned to cut any U.S. jobs. In October, Bill Ford called Trump's criticism of the automaker founded by his great-grandfather "infuriating." Now the company is softening its tone. Ford stock jumped over 3% after the announcement. So far, commitments of 51,500 jobs have been made by Carrier (800 jobs), Ford (700 jobs) and SoftBank (50,000 jobs, which includes the 5,000 at Sprint), although it's controversial how much of a role Trump played. The U.S. has been averaging about 125,000 private sector job gains a month for the past year under President Obama.